We pride ourselves on being honest with our clients so that you may have reasonable expectations about your case. Attorney Michael Merchant can prove negligence if you have been involved in an accident that causes injury. If you have been involved in a crash, it is imperative to find an attorney immediately who can protect your rights. As a personal injury lawyer, my goal is to fight for your rights and help you get compensated for your damages. I have an excellent record in success and recovery, and will discuss your case with you and let you know what you can expect to recover. It’s urgent you act fast, so call me now! As an experienced personal injury lawyer, I am ready to help you tackle any type of negligence case, be it for a car accident, a medical malpractice suit, or otherwise. One of the most imperative points is that you make the call quickly, as there is a two year statute of limitations on these cases, and I want to make sure we make the most out of it to get you what you deserve. When you choose me to represent you as your personal injury attorney, I put your needs first and foremost. Whether you’ve suffered from emotional trauma, pain and suffering, property damages, lost wages from missing work, or had to pay for medical treatment, I will fight to get you what you deserve. You never have to pay unless we win, so it is entirely risk-free to call me and get your free initial consultation immediately. 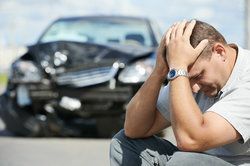 Motor vehicle accidents are one of the most common reasons people need an injury lawyer, and I am experienced in representing those who have been wronged in auto accidents. I know how the legal system works, and am tenacious in fighting for your rights. If you have suffered from a car, truck, boat or motorcycle accident, you could be entitled to compensation for your suffering. Call me now for your free consultation. A spinal cord injury can devastate the victim and their loved ones. If you, or someone you love, has suffered from a spinal cord injury, you need a personal injury attorney on your side who is aggressive and will fight hard for your compensation -- that’s me. When someone has suffered from a traumatic brain injury, or TBI, their entire life changes. The effects can ruin not only the life of the victim, but of those close to the victim as well. If you or your loved one has experienced a traumatic brain injury, I can provide legal counsel and help you seek just compensation where you are owed it. A wrongful death is a terrible tragedy, and if you are left picking up the pieces after losing someone close to you at the fault of another, call me. As an experienced and aggressive personal injury lawyer, I will provide compassionate support while fighting for the compensation your family deserves. Medical malpractice is a broad category that encompasses many offenses. If you believe that you or someone close to you has suffered from medical malpractice, give me a call. As a personal injury lawyer that is familiar with the justice codes in this state, I will fight aggressively for you towards recovering the full amount you are owed. If you have experienced surgical or medication errors, mistakes in the ER, or other severe or life-threatening mistakes, you could have a hospital negligence claim on your hands. It is urgent that you reach out to a personal injury attorney that is familiar with state law immediately -- like myself -- so we can begin to work on getting you the compensation you deserve before the statute of limitations runs out. If you have been given the wrong medication, or in the wrong dosage, to dire consequences, you may be able to file a medication errors lawsuit. You need the advice of an experienced personal injury lawyer to guide you down the right path for your situation; call me to get attentive and personal care. Errors made in surgery can have catastrophic effects -- I have been working with my clients to get them compensation for surgical errors and other medical malpractice claims for over 17 years. I know how hospitals, doctors and their legal teams work, and I am prepared to fight them for you. Call now to schedule your free consultation. Finding out that a surgery wasn’t necessary in the first place can be a heavy emotional and physical toll on a patient. If you’ve lost wages from missing work, or suffered emotional trauma from receiving an unnecessary surgery, call my office to receive personal attention from an experienced personal injury attorney -- me. 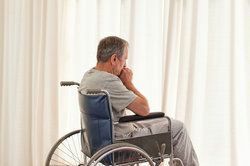 Nursing home abuse is sadly very common in our area, and our firm is prepared to fight for your loved ones. Call to get your free consultation and we’ll help determine what legal action you can take, and go to bat for you. I, attorney Michael Merchant, have been fighting for my clients’ rights for over 17 years, and will do the same for you. Serious accidents happen every single day, and I don’t want you to become another statistic. I will investigate your situation, and should you pursue a lawsuit, I’ll work hard towards getting you compensated. Call me if you need an injury lawyer in Oklahoma City, Edmond, or Enid.